The benefits of estate planning become clearer as you move through the process and the benefits increase as details covering a wide range of topics are added to your plan. If you are incapacitated and unable to manage your finances, which best describes your current situation? If you have dependent children, which best describes your current situation? 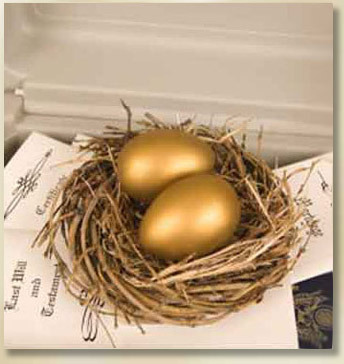 If you passed away, which best describes what your executors or trustees would encounter? 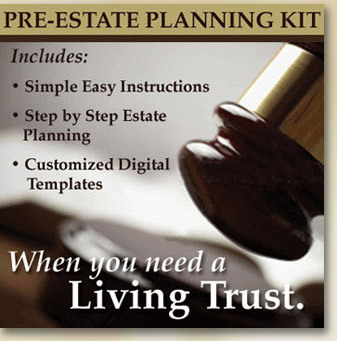 Last will & testament or living trust in place with an easy roadmap to locating all assets, debts, contact information, utilities to shut off, etc. If you answered B to most of the questions above, your estate planning situation is common. Documents are in place but those named to handle your affairs lack key information to expediate their tasks. Talk with family and friends who have served in some capacity of an estate where information was missing. Their recollections are often of headache, heartache and the time and energy spent chasing down information not covered by standard estate planning documents. Those who had information readily available will reflect positively on the person who passed, not the problems encountered. If you answered A or B and have minor children, how much time is spent narrowing down candidates of potential guardians? What factors exclude some candidates while making others acceptable? Do those you found acceptable match all your values and have vital information regarding your child's needs? Flip the circumstances around if you are named guardian of another's children. What information would you want that the children couldn't provide (for example: how to contact their doctors)? The Estate Director is an affordable solution to answering ALL these questions and topics. You can attempt to create this information yourself or, for less than the cost of a night at the movies or a month of Starbucks, benefit from the expertise of an estate planner to ensure no stone is left unturned regarding your estate or children! Immediately download and save the Estate Director to your computer, enter in the information applying to your needs and print copies for your estate plan and those named in your estate plan. Remember that time is money and this can save you time, a spouse time, an attorney time and those involved in your estate their valuable time (which they are allowed to bill your estate). Best of all, the Estate Director has a 100% money-back guarantee if you are not satisfied and you can view our A+ rating on the BBB website. If you are satisfied, you are encouraged to share copies of the Estate Director with family members so they too have their affairs in order - especially if you are named in their estate! "As a mother of a young child, I didn't want to think of leaving her behind. The Estate Director documents gave me the oppertunity to think about who I would want to take care of her and how I would like that to happen. The Estate Director also gave me a place to record memories that would be lost with me should I pass before sharing them." "I was an accountant and business manager for over 20 years. I've served as a trustee of a trust, and know the importance of having this information available, especially if it is organized as presented. Most estate plans I've seen don't include anywhere near this amount of information, nor does it include this kind of detail. I have personally lost two close friends who were attorneys and clients of mine. As I began to work in settling their estates, I was amazed at the amount of information I didn't know and needed. And I hated every call to loved ones to gather that information." "As an insurance professional and advocate of not procrastinating estate planning, it is refreshing to see such an uncomplicated and self explanitory way of making your final wishes known. Knowing the questions before meeting with a licensed estate planner helps to maximize your time together and ensures a well thought out and complete estate plan. The Estate Director is one of the best systems I have ever seen." Save the Estate Director to your computer, fill out the pages applicable to you, edit the pages how you like and print copies for inclusion with your estate planning documents and, if you desire, for those you've named in your estate plan. Make updates as needed. The areas above are just a few topics covered by the Estate Director - a fantastic compliment to any upcoming or existing estate plan. The Estate Director covers many other vital areas that unless you are an estate planner would not likely think to include. The primary goal of the Estate Director is to save time and reduce stress for those named in various parts of your estate. 2. After your purchase you will be immediately redirected to this site for download in the format of your choice. We offer a 100% full refund within five (5) days if you are not fully satisfied with the Estate Director regardless of your reason. Download the complete Estate Director to enhance your estate plan which benefits not only you but those involved in various parts of your estate. The Estate Director helps those in the initial planning stages and compliments most existing plans.